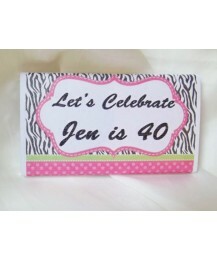 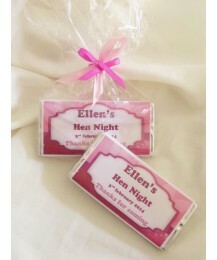 Hen Night two tone pink Chocolate Bar printed on a shimmery white paper. 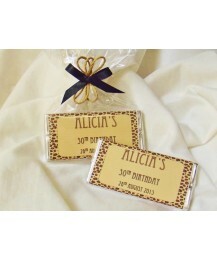 Suitable for Birthdays ..
Personalized 40gr chocolate bar with a party balloons image on one side and a beautiful pink ribbon ..
Personalized 40gr chocolate bar with leopard print design. 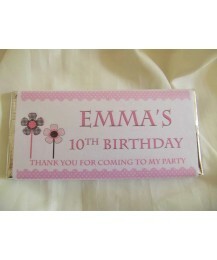 Printed on a shimmery paper these bar..
Personalized 40gr chocolate bar with a light lace design and golden printing.You can choose to buy t..
New and exclusive to BBBonbon, this chocolate bar it's very entertaining.Each bar comes with a perso..
20gr Children chocolate bars personalized with your child's name, age and a thank you note.Presented..
40 Gr Elegant Personalized Chocolate Bar printed on a shimmery white paper.Suitable for all ages.Thi..
Beautiful combination of matching personalized chocolate bars and sweet boxes.The sweet boxes are fi..
Personalized milk chocolate bar wrapped in a shimmery zebra print and polka dots design.The chocola..
Personalised milk chocolate bar wrapped in a shimmery black & pink leopard print paper. 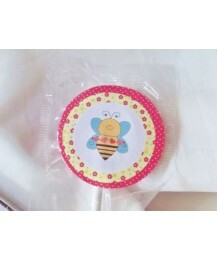 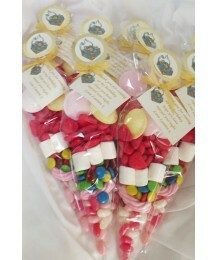 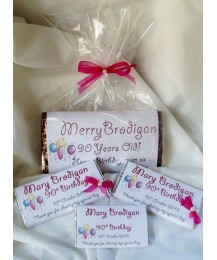 The ..
20gr milk Chocolate bar personalized with the child's name, age and a Thank You message of your choi..
Personalised 40gr milk chocolate bar and lolly pop set.This set contains a chocolate bar, wrapped in..
New and exclusive to BBBonbon, this chocolate bar it's very entertaining. 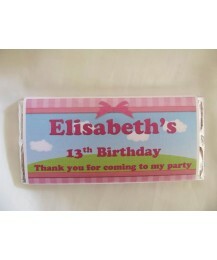 Each bar comes with a ..
Personalised 40gr milk chocolate bar. 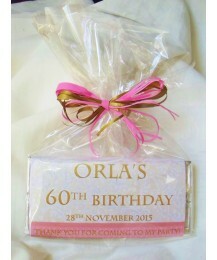 Each bar is wrapped in Premium Parchment white/cream paper.. 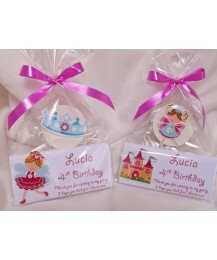 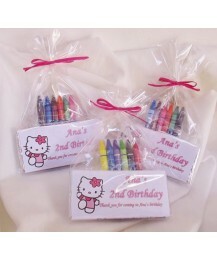 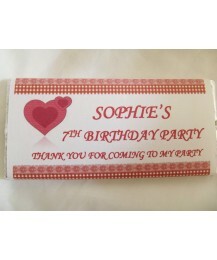 This combo offer includes: Personalised 40gr milk chocolate bar with invitation to the party details..
Children milk chocolate personalised bar with image of a double love heart, a sure hit with small gi..
Children milk chocolate personalised bar, wrapped in grey marble parchment paper and decorated with .. 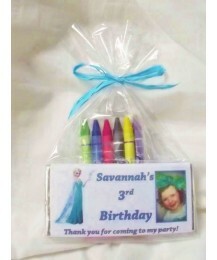 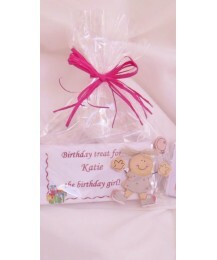 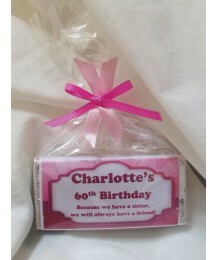 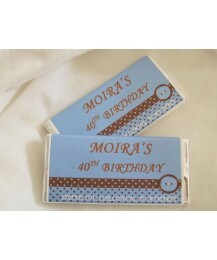 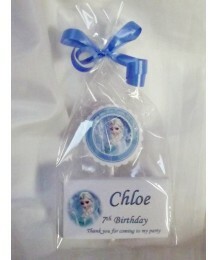 Milk chocolate personalised bar.Each bar is personalised with the name, date of party/birthday, age ..